How To Install A Washing Machine - Which? Installing a new washing machine yourself could save you around £25 for a freestanding model and £100 for a built-in machine. 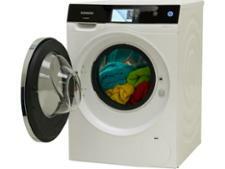 Save money on your new washing machine by doing the installation yourself. Given the size, weight and general bulkiness of a washing machine, this isn’t going to be a job for everyone. But if you’re OK moving a big and heavy white box, around and don’t mind getting your hands dirty, this is a useful way to save around £25 in installations costs for a freestanding washing machine and around £100 for a built-in or integrated model. No need for a plumber for this job! If you’re still searching for the right washing machine to install in your home, check out the 300+ washing machine reviews on our site to find the best model for you. Use our interactive tool below to help you through each step. Is the flooring beneath your machine both level and hard? Choose the right location for your machine. 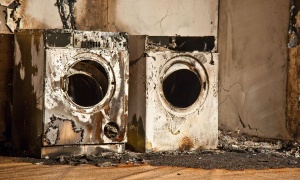 Not doing so can result in irreparable damage to both your home and the machine. Will the temperature of the room you're keeping your machine in drop below freezing? Do you have close access to cold water? Machines are not built to work in these low temperatures. It can cause components in your machine to short, random errors to appear and even cause a frozen machine. Find a new, warmer location to avoid damaging your washer. If your machine has stopped draining, won't start or has a leaking door then there are a few simple steps you can take to try and fix it before calling an engineer. Use our interactive troubleshooting tool to see if you can get your machine working like new again. If your floor is uneven it can result in leaks, excess noise and a machine that shakes. Find a new location with a more suitable floor, or try sitting it on a sturdy piece of wood and manoeuvre the corners to even it out. Is the dishwasher connected to the sink waste? You won't be able to use your machine without close access to a cold water tap. If this is the case, it's probably best to rethink your location. Have you measured your washing machine and the space you intend to put it in? Depth measurements might/might not include pipe and hoses. Be sure to check. Bulky door surrounds, buttons/controls that stick out and curved front casing are generally not included in dimension figures. Allow for around 70mm on top of the depth of your machine to make sure that you can safely accommodate your waste pipe and water inlet pipes. Some manufacturers offer height-reducing kits for their machines. These kits can reduce the height by as much as 30mm. The kits typically cost between £50 to £100. Start by checking if your manufacturer offers them. If they don't, try a spare parts retailer - some will sell kits suitable for a variety of models. Always make sure the kit will fit your particular appliance before buying. If you can't use one of these then you will need to find a new location for your washing machine. Have you unscrewed the carriage bolts at the back of the machine? 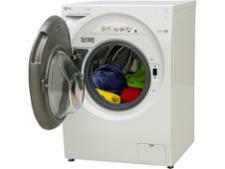 Are you replacing an old washing machine? There are normally 3-4 carriage bolts in the back of a machine that lock the drum while it's being moved. Not removing these will cause vibrations and could eventually cause irreparable damage. Have you turned off the isolation valve? Always turn both the cold water supply and isolating valve off to stop any leaks. It's also good to have a bucket or tray handy to catch any water from the hose of an existing machine. Next, you to need to attach the cold water-in hose. 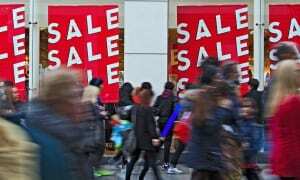 You can normally buy extra long hoses or hose extenders that will fix the problem. Check with your manufacturer. Next, attach the cold water-in hose to the back of the machine first. Then screw the other end to the water supply. Turn the water supply back on and check for any leaks. The next step is connecting the waste hose. The waste water hose will come attached to your washing machine and will just need to be manually fed into the waste water down pipe. Tighten the connections and look for any cracks or rips. If the water is still leaking you might need to change the water inlet filter screens or the O-rings in the water hose. If you're using an old hose it might have broken or gone rusty and you'll need a replacement. Push your machine back into its designated space and check it is sitting flat using a spirit level. Now, run the machine on a quick cycle to check everything is working. Perfect. You're good to go. 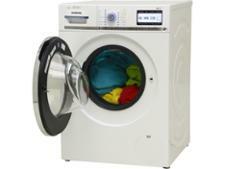 The costs involved in connecting a new washing machine vary from shop to shop, but wherever you go you’ll be charged. We’ve looked at the prices charged by four leading washing machine stores for both freestanding and built-in models. Installing a new washing machine costs £20 at AO and it’s another £25 for it to disconnect your old machine and take it away for recycling. Delivery and installation of your new machine and the removal and recycling of your old one cost around £45 at Argos. It costs £25 to have Currys install a washing machine purchased from them. Removal and recycling of the old machine is from £20. Connection with installation costs £25 for washing machines purchased from John Lewis, and it will also switch it on and test it. It charges another £15 to take away your old machine. Integrated or built-in appliances cost more to install as a kitchen cabinet door needs to be attached to the appliance door. 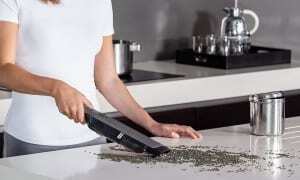 The kickboard in your kitchen will also need to be removed to install the machine. Argos charges £82 for installation of a freestanding washing machine and £15 to remove your old machine. Curry’s and John Lewis charge £90 for integrated appliance installations, and £15 to remove and dispose of your old appliance with AO charging £90 to install the new washing machine and £20 to remove the old one. Prices were checked in October 2017. If you already have a washing machine installed and you’re buying a new one, you might think that any machine will easily fit in the space. But although washing machines are usually around the same height and width, you’ll find differences in depth measurements. Machines with larger drums and wash capacities tend to be a few centimetres deeper than smaller capacity machines. When ordering your new washing machine, allow for around 70mm on top of the depth of your machine to make sure that you can safely accommodate your waste pipe and water inlet pipes. Before you disconnect your washing machine, remember to empty it of any clothes that may be in the drum, and switch it off at the mains and unplug it. Pull your machine away from the wall and then switch off the isolating valve on the cold water supply. This will usually be a small blue tap. The cold water supply will attach to your mains water via a hose that is attached to the top of the back of your machine. Check that the cold water supply is switched off and unscrew the cold water in pipe. Have a bucket or tray handy to catch any water from the hose. Water from the cold water supply will now be switched off, so there should only be drips coming through that one. You’ll see another hose that’s going from your washing machine into your kitchen floor. That’s the waste-water hose. To disconnect this you simply need to pull it out. Now your old washing machine is disconnected from the electricity, has had the cold water in isolating valve isolated, and has both its cold water and waste supplies disconnected, you’ll be ready to move it out of the way and connect your new machine. Make sure you refer to the manual before carrying out any installation work. The advice provided here is general and should be used to give you an idea of the work that needs to be carried out. The manual will deal with the specifics, so keep it handy. Remove the polystyrene from around the edges of the machine. Sometimes, you’ll also find polystyrene blocks underneath the machine at the front. Refer to the manual for how to do this, but removing the blocks should just be a matter of tilting the machine to release them. Removing carriage or storage bolts from the back of the washing machine. Bolts are attached to the back of washing machines which will need to be removed before you install and start using it. The bolts are designed to secure the drum from moving around and potentially getting damaged while the machine is in transit. The bolts are screws attached to plugs which, while they’re in place, press against the drum to secure it. There will usually be four bolts and all of them will need to be removed. Removing them is an easy job, just unscrew them and once loose, they can be removed easily. The hoses you’ll need to install your new washing machine are often found inside the drum of the machine, so open the door to find the parts you’ll need. Screw the cold water-in pipe to the attachment at the top of the back of the machine. Use mole grips to do this (for the DIY novices, this looks like the more heavyweight brother of a spanner and is also known as a mole wrench, vice grips or vice pliers). As you do this, you’ll see a filter inside the attachment. Bear this in mind as something to check should your machine ever stop working in future; the filter can be unscrewed and washed under the tap. The other end of the water-in hose attaches to your cold water supply and again can be screwed into place. Once the cold water supply hose has been attached to the washing machine, release the isolating valve to allow water to flow though the pipe. Once the water is released, check whether everything has been sufficiently fastened by looking for any dripping leaks. Many machines will come with a plastic U-bend that you can attach the hose to. Rigid U-bends like this are useful as they help maintain the shape of the hose and avoid blockages building-up in a kinked hose. You can attach the U-bend to the wall, but remember this when you pull the machine out in future. Now you can push your washing machine back into place. You’ll need to make sure that your washing machine is level before you start to use it. This is important as the machine could be spinning at speeds of up to 1,600rpm and an unbalanced washing machine will cause unwanted vibration, noise and could end up damaging the machine and reducing its lifespan. Once your machine is in its final position, use a spirit-level to see if it’s level. If you don’t have one to hand, hold the machine in either corner and try to rock it back and forth gently. If it moves or if the spirit level shows that it isn't level, you’ll need to adjust the legs at the front of the machine to make it stable. You might be able to do part of this job by hand, but keep a spanner handy, too. You’ll need to loosen the locking nut, which locks the legs in position and once this is loose, use the spanner on the legs to raise or lower the machine. Check that your machine is level with the spirit level and then tighten the locking nut against the underside of the machine to make sure the machine’s legs stay at the height you’ve set. With the machine unpacked, the carriage bolts removed, water-in attached and waste water flowing away to the drain and the machine nicely level on your floor, your machine is now installed and ready to start washing clothes.